If you have been to Big Bend National Park and the surrounding area you'll know what I'm talking about when I say words can't describe Big Bend's vastness, diversity, uniqueness, and enchantment! Big Bend National Park is the largest National Park in the United States with over 800,000 acres, it has miles of paved roads that offer scenic views, plus 150 miles of dirt back roads, and 200 miles hiking and biking trails. 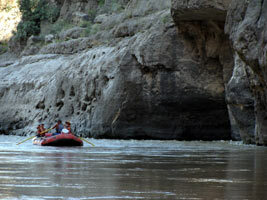 The National Park also has 118 miles of property along the Rio Grande River giving river runners the option of floating canyons with sheer walls 1500' tall, or open water by raft, canoe, or kayak. 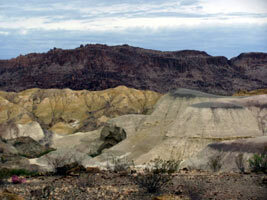 Here is a link to some of the Big Bend Hiking Trails. Within Big Bend National Park you can experience three distinct eco systems - the lush mountains with peaks of up to 7832 feet, the harsh desert landscape, and the Rio Grande River Valley. From some of the vistas you can see miles and miles of desert, mountain ranges of all shapes, sizes, and colors; the Rio Grande River; and deep into Mexico and it's mountain ranges. Native American Legend states that "after creating the Earth, placing the birds in the air, the fish in the sea and the stars in the sky, the great Creator gathered all of the leftover rocks and placed them in the Big Bend." 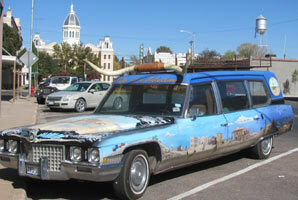 What a diverse, immense, and scenic part of Texas. 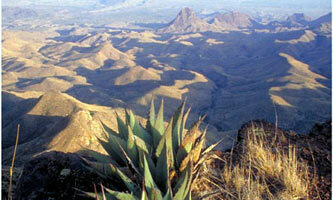 Not far from the entrance to the Big Bend National Park is the rugged and rural Big Bend Ranch State Park, which is the largest State Park in Texas with 300,000 acres of Chihuahuan Desert wilderness in a remarkably rugged, remote and unpopulated setting. 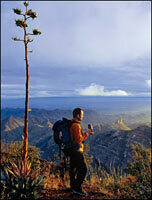 The Park encompasses two mountain ranges containing ancient extinct volcanoes, precipitous canyons, and waterfalls. You can hike, ride, or bike on 66 miles of trails with many more in development plus there are primitive roadside and back country campsites, lots of wildlife, and twenty-three miles of Rio Grande/Rio Bravo frontage for floating, fishing, bird watching, and camping. 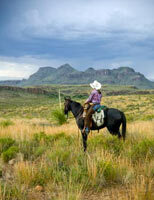 Horseback and bike rentals as well as a couple options on lodging are available in Sauceda. Sandwiched between the State Park and National park are the funky towns of Lajitas, Terlingua, and Study Butte, each of which has it's own unique personality and characteristics. Lajitas is home to the fantastic and upscale Lajitas Resort (read our review) and all it has to offer. Terlingua is best known for the Terlingua Chili Cookoff but it also has a ghost town, a couple good restaurants and bars, and is home to some rugged and interesting residents. Study Butte is the gateway to Big Bend National park and home to some rafting outfitters, Big Bend Stables for horseback riding, a couple good restaurants, and Big Bend Adventures Resort which has a motel, restaurant, RV park, and a 9 hole desert course which some claim is the "hardest mile of golf in Texas." 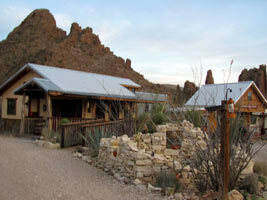 Check out our Terlingua, Big Bend, Lajitas Map to find some places to stay, eat, and have fun. 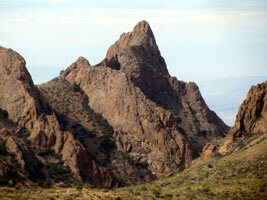 We've visited Big Bend three times over the past 20 years and when we heard that Jimmy LaFave, one of our favorite Texas singers, and 8 of his fellow singer songwriters was having a two day music festival in Lajitas and that Black Jack's Crossing Golf Course was having it's grand opening, it didn't take long for us to make some reservations, throw the bikes on the Jeep's bike rack (where they remained for the entire trip! ), and the golf clubs in the motor home (they got some good use), packed some clothes (most of which I never wore), added a bottle of Advil (thank God for Advil), loaded the groceries and beer (it also got used), and started the long drive to Big Bend. Since it's over an 11 hour drive through Texas (662 miles which is about the same number of miles from Washington, DC to Bangor, Maine and through 7 different States! 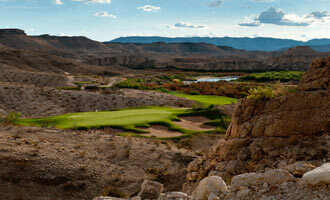 ), we decided to golf our way to Big Bend and take three days doing it. 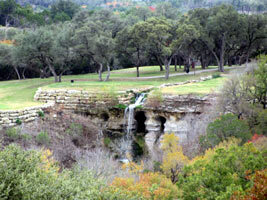 The first stop was for a round of golf at Chester W. Ditto in Fort Worth. After I destroyed that course (which doesn't mean a good score), we drove to a small RV park in Clyde which was right next to the freeway where we listened to 18 wheelers buzzing by all night which resulted in little to no sleep and didn't help my game early the next morning at Shady Oaks Golf Club in Baird. A fun course but it was hard to play with my eyes half open and occasionally I think I nodded off studying the breaks in the green. 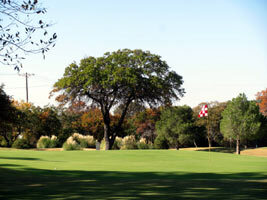 A bad round with several lost balls and the wife constantly yelling "wake up and hit the ball" was followed by a short drive to a nice RV park in Big Spring and golf the next morning at Hogan Park's Roadrunner Course in Midland. A barking dog and a couple trains passing through didn't result in a much better night's sleep. That was followed by a cold morning for golf which meant my eyes were half closed and I could hardly get my fingers to wrap around the club, my nose kept dripping, and I had forgotten socks for my golf sandals so my toes were freezing! The good news is the water in my cup froze, but the bad news is I had to dry swallow my Advil. Not a fun day on the course! Oh well, I knew the music would be good if we ever got to Big Bend, if the music wasn't that great I could catch up on some sleep. 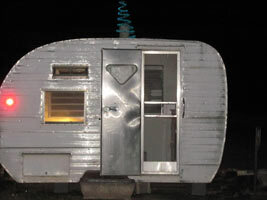 a couple very interesting campgrounds - we were the only RV in the Tumble In RV park which is flat desert with 8 sites and an old trailer as an office with no attendee and we checked out El Cosmico which "is part vintage trailer, yurt and teepee hotel and campground, part creative lab, greenhouse and amphitheatre - a community space that fosters and agitates artistic and intellectual exchange." We visited a couple art galleries, spent some money shopping, had a drink and couple games of dominos at the Hotel Paisano, enjoyed a good breakfast at Squeeze and an excellent Italian dinner at Maiya's, and checked out the eclectic El Cosmico for a place to stay on the next trip. After lunch, we took the shorter route to Lajitas while Doug and Reine took and really enjoyed the more scenic Route 67 to Presidio and 170 to Lajitas - National Geographic lists this route as one of the Top Ten Most Scenic in the US. Highway 170 goes through the mountains, along the Rio Grande, and past Big Bend State Park and has several scenic overlooks and historical markers along the way. It took several hours for them because Reine made Doug stop at every historic marker as well as several stops for Reine to sketch some of the stunning scenery. 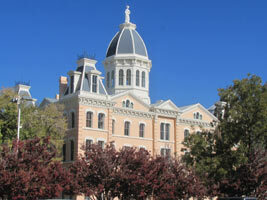 Check out our Marfa map to find the above and learn more about Marfa. One of the reasons for our visit to Lajitas was because Jimmy LaFave was having his first, and we hope it becomes an annual, Singer Songwriter Rendezvous. 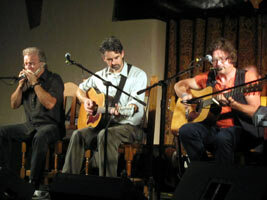 He had gathered an incredible collection of 8 very talented singer songwriters, loaded them on a bus, and delivered them to Lajitas for two days of some of the best music we've heard. You can read our review of Jimmy LaFave's Singer Songwriter Rendezvous to learn more. Can't wait to do it again next year. We had planned a canoe trip with Big Bend River Tours for an afternoon trip down the Rio Grande, but thanks to the severe drought and no rain and the Mexicans not releasing much water from the dam upstream, the water was very low and slow moving and required some walking and towing the canoe - we decided we would rather drink beer, munch on some appetizers, and explore Terlingua! Maybe next time. 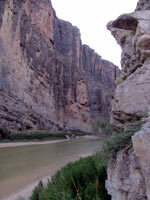 On a previous trip we had an outstanding raft trip though the sheer cliffs of Santa Elena Canyon. 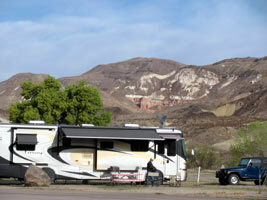 We reluctantly packed the bags and checked out of Lajitas Resort, tucked the motorhome into a campsite at Big Bend Resort in Study Butte, and headed north a few miles to spend some time at Ten Bits Ranch B&B. Wow, what a unique setting and fantastic place to spend a couple nights. 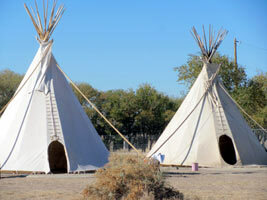 Ten Bits Ranch has four themed guest rooms that are part of the recreated western town of Chimney Rock. 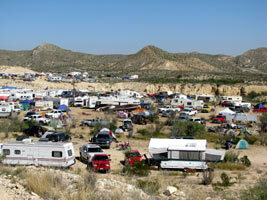 Read about our stay in this Ten Bits Ranch Weekend Article. 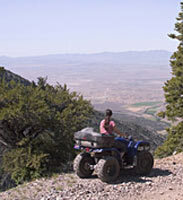 In addition to offering guests some great lodging, good hospitality, scenic views, and a tasty breakfast, Ten Bits Ranch has a variety of 4x4 off road tours as well as guided hiking tours for guests to enjoy. One morning the four of us piled into two 4x4s and headed off road for a fantastic tour through the foothills and Chiluahuan Desert. Over the three hours we learned a lot about the geology, history of the area, plants, and wildlife; saw some stunning scenery; and learned a little gossip about some of the local characters. A fun, scenic, interesting, and informative trip. 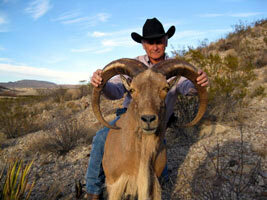 Check out our article on the Big Bend Off Road Tour. During our stay with Ten Bits Ranch, we took day trips to spend time in Big Bend National Park hiking on two different trails and looking for bear, taking the jeep on an off road trail (it had been whining to get off the pavement for several days! 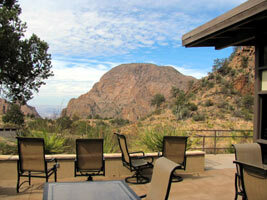 ), enjoying a great lunch and scenic panoramic view at the Chisos Mountain Lodge, and saying "Wow, isn't that beautiful, majestic, stunning" and several similar words to describe the scenery. We were sad to leave such a beautiful area after having so much fun, so we tried to make the trip home more enjoyable by golfing at Quicksand Golf Club and Riverside Hills Golf Course in San Angelo plus The Retreat in Cleburne - but losing another couple sleeves of balls plus some very high scores didn't do much to improve my attitude.